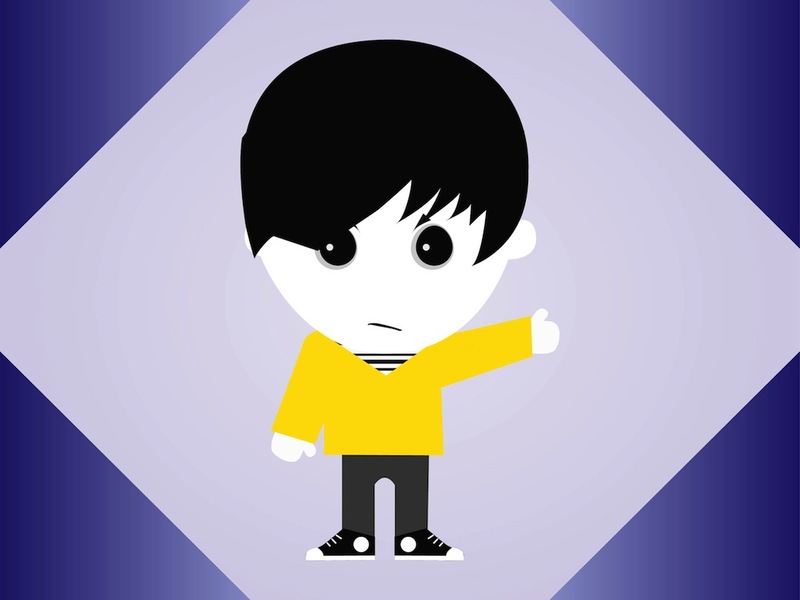 Cute character design vector illustration of a sad emo boy. Long dark hair falling over the eyes and face, sad facial expression and big shiny eyes. Striped shirt, colorful sweater, tight jeans and sneakers. Free vector illustration for your brand mascots and game characters projects. Tags: Boy, Cartoon, Depression, Emo Vector, Mascot, Portrait, Teen.